Triumph Genuine Part. "When Only The Best Will Do"
TRIUMPH: Seal Cam Seal Ladder: Spark Plug Tower Seal: Triumph Genuine Part T1261308: Sold Individually! 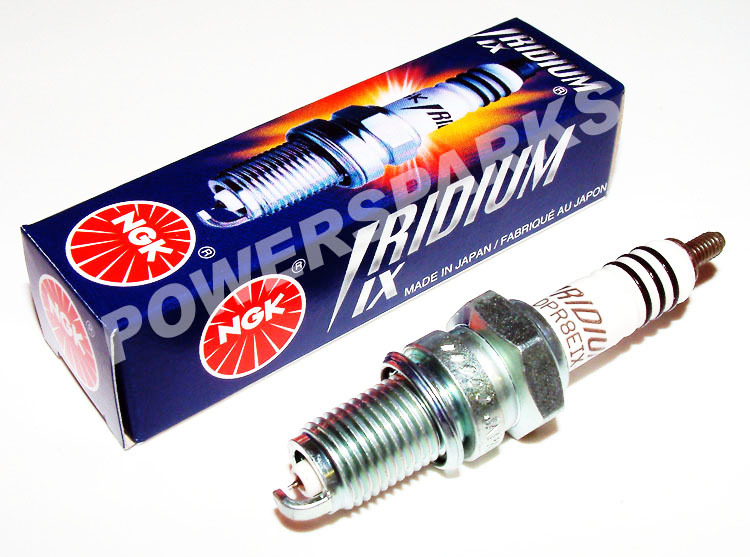 SPARK PLUG WRENCH 10mm & 12mm 'Two In One' 4 Inch Tommy Bar Type. 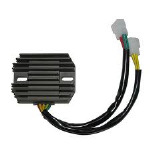 Triumph Thermostat T2102131 Multiple Triumph Applications! RADIATOR CAP Triumph Genuine Part T2100074: Many 3 & 4 Cylinder Triumph Applications! Copper Sump Plug Washers Triumph 14mm Drain Plugs x4 Pcs. OIL FILTER TOOL All Hinckley Triumph Fuel Injected Engines. K&N Quality Oil Filter. All Triumph Fuel Injected Engines. Quality Pattern Oil Filter. All Triumph Fuel Injected Engines. Here we have a very high quality and affordable aftermarket valve shim removal tool for the home mechanic at half the price of the main dealer tool! 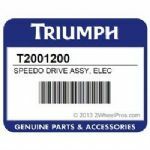 RADIATOR CAP Triumph Genuine Part T2108005: Many 3 & 4 Cylinder Triumph Applications! 43mm Forks Selective Applications! Please Check! 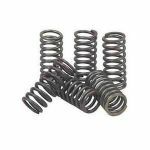 Made from British Standard quality seamless tubing made to a high specification. SPRINT ST 955i 1999-04: Sprocket Carrier "Twin" Bearing. Single Sided Swing Arm Models. SPRINT ST 955i 1999-04: Rear Wheel Bearing LEFT. Single Sided Swing Arm Models. SPRINT ST 955i 1999-04: Rear Wheel Needle Roller Bearing 'RIGHT' Single Sided Swing Arm Models. TRIUMPH Moto Replacement Exhaust Studs. Sold In Pairs = (2 Studs Mild Steel) Clearance Price! 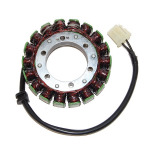 Electrosport Generator / Stator For Triumph 955 Engines. (Check Applications!) ESG794 Quality Aftermarket Part! A very handy tool to have when out on your bike! REDFOX Fender Flick / Fender Extender Clearance. 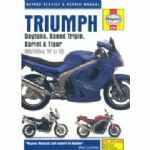 Most Triumph Applications (Subject to Availability) Clearance Price!! Some kits may contain tarnished screws due to damp storage. Selling at half of retail price!! Ceramic Grease PUTOLINE High Temp Lubricant 100g. SKU: 8710128741151. FRONT BRAKE LEVER Adjustable. Multiple Applications. Granville Exhaust Assembly Paste Provides Gas Tight Seal & Lubricates 140g. Hugger & Chain Guard. SPRINT ST 955i 1998-01 (Carbon Effect) Weslake. JTF1180-19 Rubber Damper Front Sprocket (19T) Triumph Fitment. 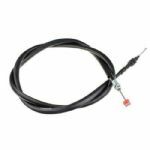 SPRINT ST 955i 1999-04 Dynojet Power Commander PCIII USB PC3-502-411. 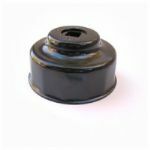 TRIUMPH Brake Caliper Slider Boot. Triumph Fuel Tank Knee Pad Grips: 1 pair "Meriden Logo"
TRIUMPH Sprint 1999on: Fork Bushing Kits Teflon/Bronze Inner & Outer Fork Bushes. Kit is for Both Fork Legs! 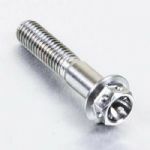 Polished Show Quality M10x35mm Stainless Steel Bolts. 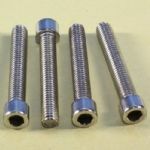 TRIUMPH Stainless Steel Tapered Front Brake Caliper Mount Bolt Set. 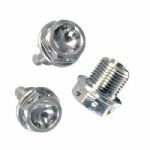 SKU: T3205796 (Tapered Socket Cap) SSSC1035F Sold In Pairs.